People don't just shop for style. They want an experience that inspires them with what's out there and to get guidance as to which brands & styles best fit their specific wants & needs (form and function). In this respect, Mathers is more than a shoe shop. The Mathers shopping experience is geared to inspire a new sense of style in our customers with shoes and accessories selected for the individual & the modern world they live in. Brand belief: Style and sophistication starts with the shoe. Igniting your passion for style. Your guide to the best of the brands you love! 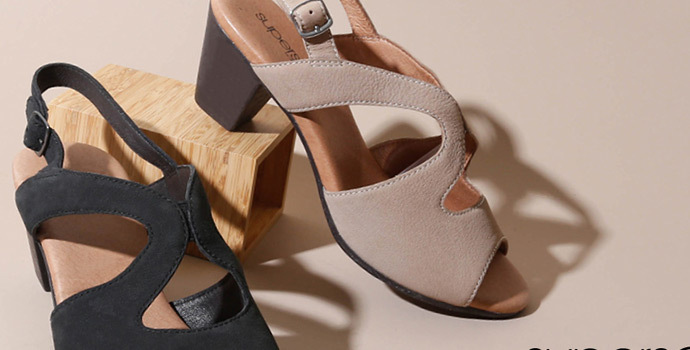 Our brands include Giovanna, Hush Puppies, diana ferrari, diana ferrari supersoft and multifit, Naturalizer, Colorado, Clarks, ROC, Portland, Florsheim, Julius Marlow, Wild Rhino, Rockport, Lynx, Crayons and more?